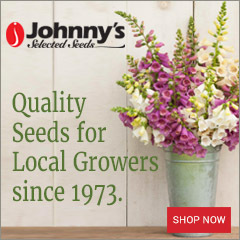 Get Ready for Red-White-and-Blue Florals! 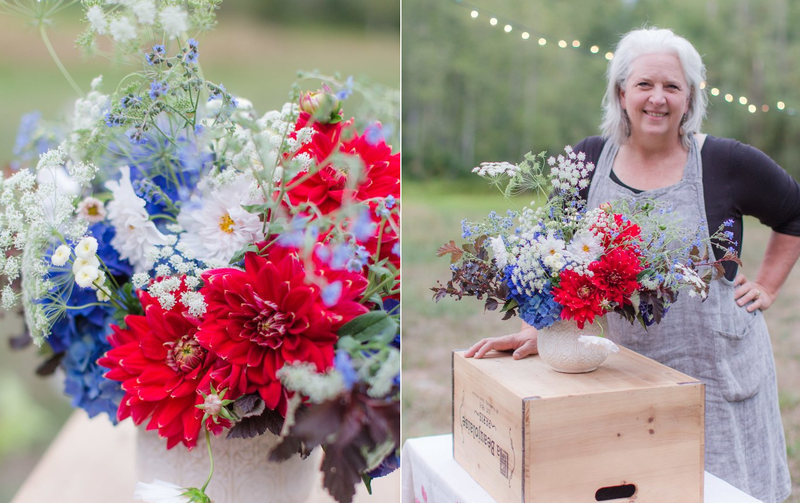 Maybe the palette seems a little cheezy to you, but ever since I created American Flowers Week in 2015, I have been on the lookout for fantastic ingredients that add up to beautiful (and anything but cheezy) Red-White-and-Blue floral arrangements and bouquets. 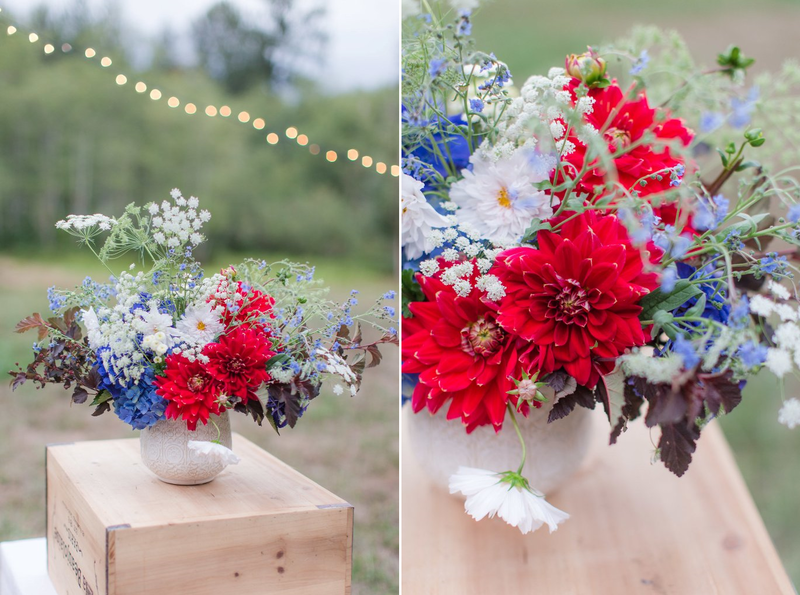 Nothing says “proud” and “homegrown” better than recreating our American flag’s true colors in a vase, right? 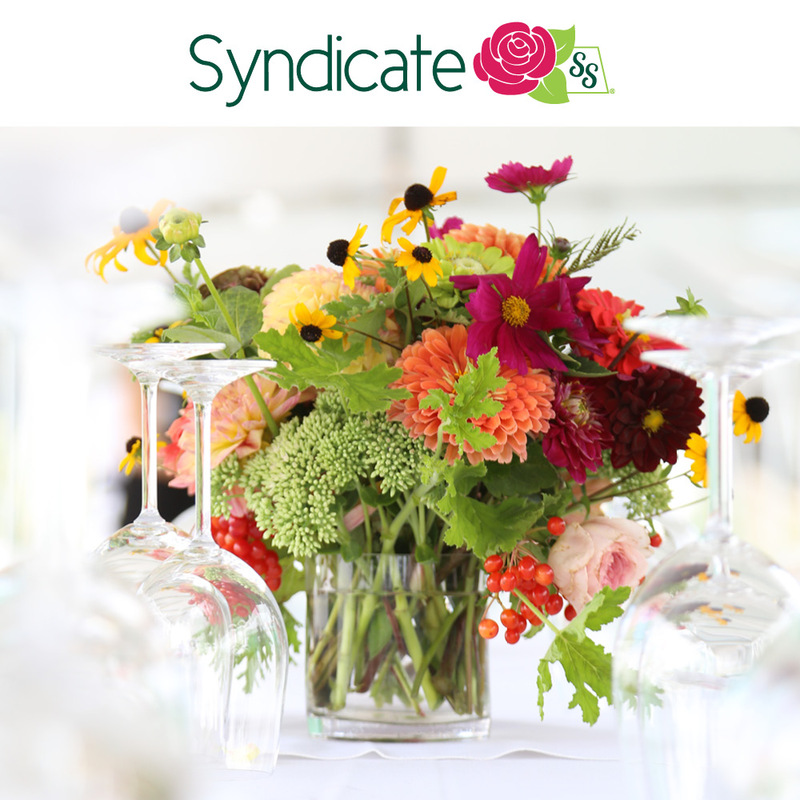 Here a pretty bouquet from last summer at a Tammy Myers’ First and Bloom workshop, with photographs by Missy Palacol. 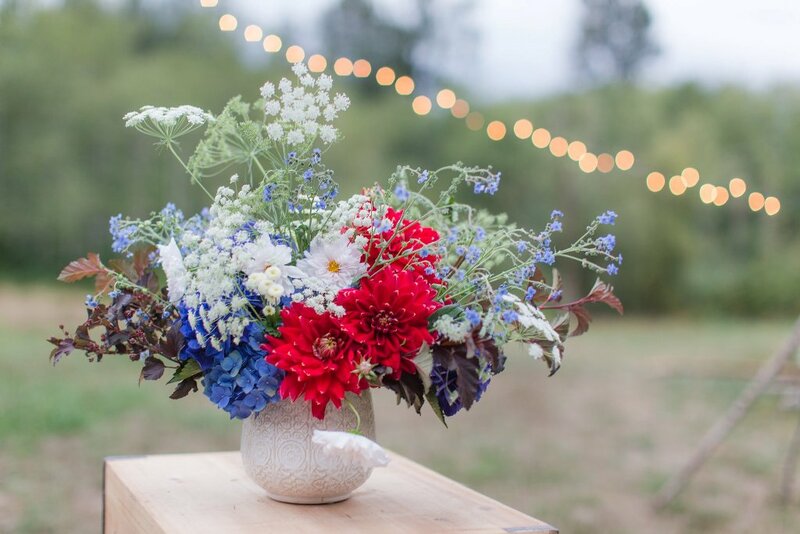 That fun, al fresco-style event took place a month or so after American Flowers Week (June 28-July 4) but clearly the stars and stripes were top-of-mind because I didn’t hesitate about the palette when Tammy offered me an entire rainbow of botanicals from which to choose. 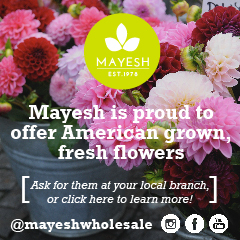 I’ve been playing with reds & maroons, whites & creams, blues & indigos — across the botanical spectrum — for the past three years, and now I’m really getting excited about our next American Flowers Week campaign. 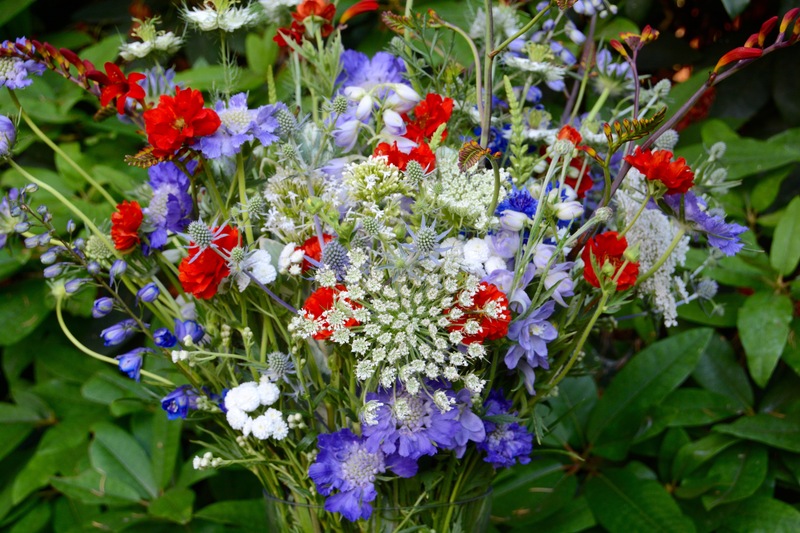 It’s coming up in just five weeks, so I hope these images inspire you to create your own Independence Day bouquets. 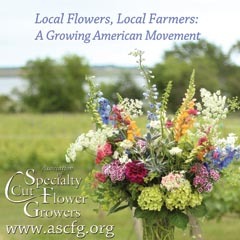 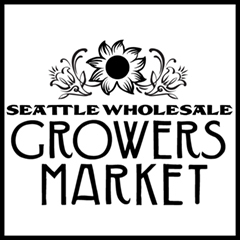 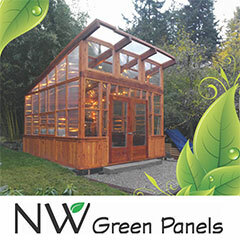 Please share them at our Slow Flowers Community Page on Facebook! 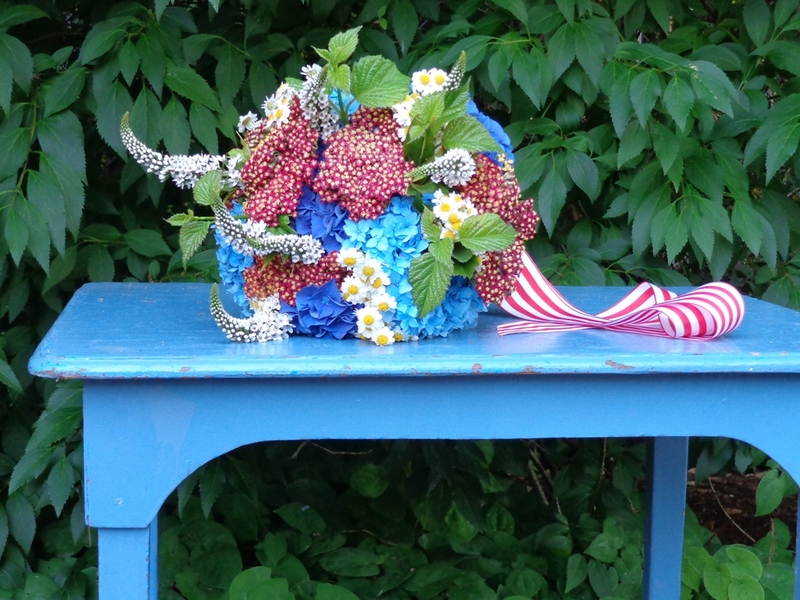 All-American flowers, grown in Oregon at Charles Little & Co.
A child’s table, painted delphinium blue by a vintage dealer, is my perfect podium for this bouquet. 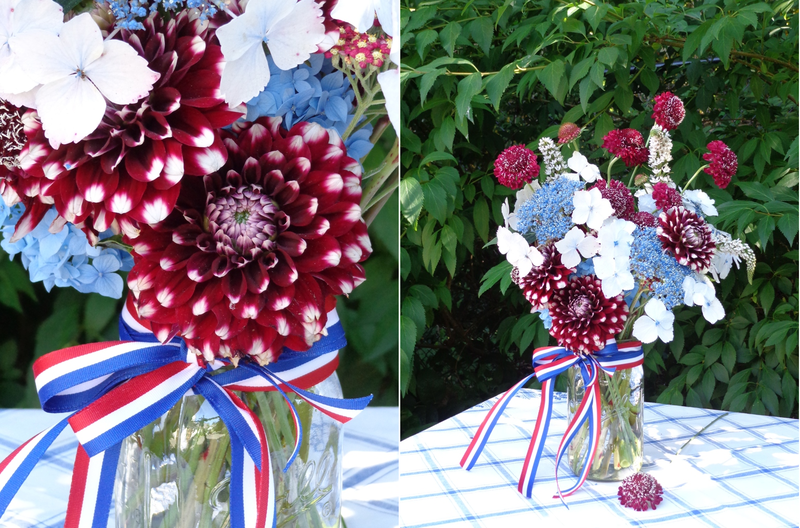 A July 4, 2015 Mason jar bouquet featuring ‘Checkers,’ a favorite dahlia from Jello Mold Farm. 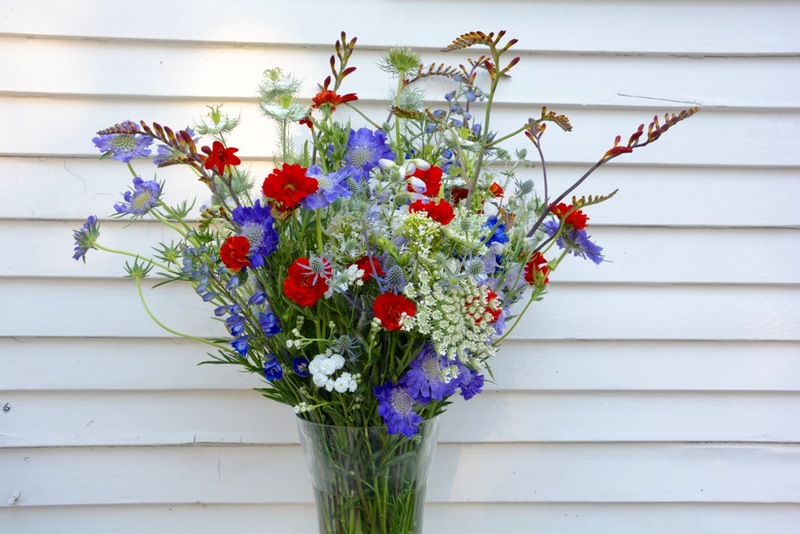 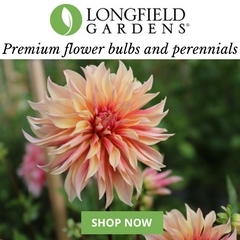 Enjoy these glorious red-white-and-blue flowers, picked just in time for American Flowers Week.